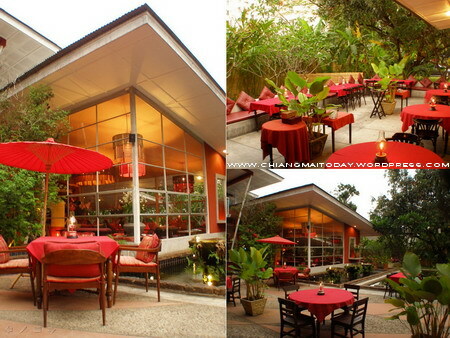 เชียงใหม่ in Love, Dalaabaa … Dining in Red! | boutique hotel ... do it yourself ! เชียงใหม่ in Love, Dalaabaa … Dining in Red! Lonely Planet ออกปากชมว่า … Dalaabaa Bar & Restaurant, City Style, Thai Fusion, Budget (ไม่แพง) … This trendy eatery, with warm, subdued lighting washing over orange and red silks, brings a Bangkok-style sophistication to Chiang Mai dining with a clever Thai fusion menu. You’ll find it east of the river, not far from Prince Royal’s College. Thailand Tatler จัดอันดับ Dalaabaa เป็น Top 150 Best restaurant in Thailand … Dalaabaa owes much of its unique charm to its fabulous setting, with echoes of art deco, Frank Lloyd Wright and feng shui woven artfully into the modern design and decor. Stark, sophisticated geometrics are balanced with sumptuous shades of crimson and vermilion. All in all it was one of those very special evenings that make this tough job easier to bear, and I recommend Dalaabaa to one and all.